Mike is knowledgeable and honest about the market. His Marketing plan was effective in advertising and selling our house quickly. His team was supportive throughout the process. I've worked with several realtors in the past and Mike/team are the best. I would definitely use them again and recommended their services. Greg HecksherMike is knowledgeable and honest about the market. His Marketing plan was effective in advertising and selling our house quickly. His team was supportive throughout the process. I've worked with several realtors in the past and Mike/team are the best. I would definitely use them again and recommended their services. Michael and Steve are absolutely awesome to partner with. They know the market, are dynamic with active communication and are honest and fun guys. Purchasing a home can be a daunting task ... it doesn’t have to be. I actually enjoyed the process, this due to Michael and Steve’s partnering. Thank you Gentlemen! A few things that I learn about realtors is I will not ask him to sell a property for less than 6 percent if I don't know how good they are. Someone already stated all realtors are alike they have access to the same MLS for everyone one to see. My experience working with you is that most of them are the same. There are few that are more than agents, they are truly committed. All I can say is Thanks for standing by your words that we had talked about the first time we met to sign the contract. No doubt you are the best realtor thank you for all your help. I cannot stress enough how worthwhile it has been to work with both Mike and Steve. Being a first time home buyer, the process can be extremely stressful and overwhelming. Unfortunately, when I began house hunting I was working with another agent who made no effort to educate me on the process nor help. I was put into contact with a mortgage broker who did nothing to educate me so that I could then make an educated decision on what kind of home I can afford. After many missed scheduled appointments and her showing up over a half hour late to a showing, I reached out to Mike to start the process over. From my first conversation with Mike I could tell this is how I should have started this process. Not only did Mike inform me of exactly what to expect during this process, he also put me into contact with Karen Jackson of Waterstone Mortgage who did a phenomenal job of explaining the mortgage process to me as well as educating me on exactly what to consider when deciding the amount I can comfortably afford each month. Mike's partner Steve did some showings with me and I cannot explain how absolutely helpful he is. Not only does he have a construction background so he can point out flaws in homes that you may otherwise miss, he also takes detailed notes on what you like and don't like in homes so that he can really narrow down the search and send you homes that are appealing to your likes and dislikes. After walking through over 20 homes, I purchased the third house Steve sent to me. As a first time home buyer, you truly would be doing a disservice to yourself by going through this process with anyone else. Mike came through with what he promised, I would and will recommend him to anyone! The overall service that I have received was exceptional. From day one I knew that I was in excellent hands. I would definitely recommend this real estate team to my friends and family. I couldn't have asked for better service. Mike is getting it done for us in a rough sellers’ market due to inventory saturation and some less then appealing nuances of our sale property. He provided a pragmatic approach to the sale, offered suggestions to expedite the sale and was transparent during the process. He was also able to generate a lot of foot traffic which finally matched us with an appropriate buyer for a price/profit we could live with. Mike listed and sold my home in a tight market. There were some issues on the buyer’s side and he helped them to make sure their situation was rectified. This helped the whole transaction run smoothly. Thank you! Mike did an excellent job selling my house. We got a selling price well over nearby comparable houses. I highly recommend Mike as an agent. He gave us great advice and was able to negotiate a great deal for us. I got this letter in the mail from Mike Koperna and thought it was a gimmick. It had a picture of my house circled in red and told me he knew why my house has not SOLD to call him. Therefore, I took the leap of faith and I did and really did not know what to expect. After being on the market for over 365 days and being under contract with my previous agent, the deal fell apart before settlement, I was so disgusted. I then cancelled the contract with my agent and called Mike after the home was taken off the market. Mike came to my house gave me some his 89 Proven marketing Plan had my house under contract with 2 offers and the best part SOLD it in 6 days for $18,300 more than my last deal. I was simply blown away Mike delivered as he said he would and I would recommend him to anyway. It was a pleasure to work with Mike and his team. They helped us through the entire process step-by-step from selling our home to buying our next home. They made the transition run very smoothly. Thank you for your service! Our house was on the market for only 6 weeks before it was sold. We had a lot of traffic early in the game with multiple people wanting the property. The process was smooth not only in selling our home but in purchasing the home, we now live in. It was great to have such a positive outcome especially in a time where the economy and real estate was very poor. I have been working with Mike Koperna since 2007, when our original realtor failed to sell our house. Within a day, Mike showed us how to stage our home, make an impression before even walking in the door. Our home sold in 9 days, and he got us our asking price. When we went to build our next home, Mike did not only put us in the right direction, but, he educated us on the economy, what are the do's and don’ts of building a home and helped us through the contract process. I personally would not make any buying or selling decisions before I contacted Mike. 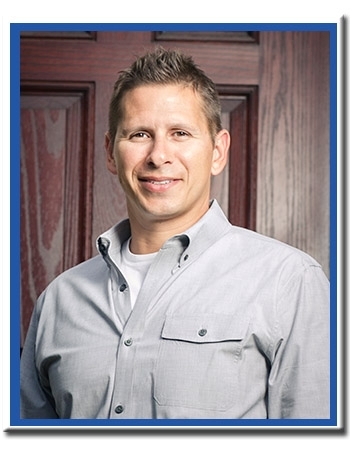 Mike is one realtor that truly cares about his clients and their well-being. You are not just a commission to him, but also, his reputation, loyalty and dedication to his clients is what matters to him. It is what makes him the best at what he does. He sells your home and he guides you in making the right decision when buying a home. Mike was clear in his explanation of the over 80 point marketing strategies to sell my property. The idea of the staging my property for sale reminds me of HG TV. I felt for the first time that I was selling a house and that it was going to be sold. I was instructed to make the rooms as attractive and clot free as possible. When I was done I felt impressed as if I would have bought it myself again. Mike is honest and convincing. He educated me of the trends, weakness, and strengths of the housing market and what made him successful and I was impressed. He showed interest by calling me at intervals to update me on the progress of the leads and buyers' interests. Mike is friendly and knowledgeable. We sold and bought are new home through Mike. He stays in constant contact to ensure you are kept up to date on any happenings. I have recommended Mike to multiple friends and family which some are using his services now. One word that sums up Mike Koperna is AMAZING! We have used Mike two times to sell our houses and he never disappoints. With the advice, he gave us on pricing our houses, and what to do to get the houses on the market we managed to be under contract in 4 days with multiple offers. Not only did we get multiple offers we managed to get more than asking piece. If you want, your home to sell uses Mike Koperna. Mike came highly recommended by my daughter and son-in-law and he proved to be the high quality realtor they told me he would be. I owe Mike a debt of gratitude for selling our house in 27 days and getting us 98.5% of asking price. I would recommend him to anyone who is looking to sell their house, and wants an aggressive realtor who will work hard (and tirelessly) in order to get it done. Mike has been very helpful throughout the process and always has his client's interests in mind. He is also very responsive through either phone or email and has no problem answering any questions or concerns that a client may have. I would highly recommend him to anyone looking to complete a real estate transaction. My boyfriend and I spent years wasting our money on renting apartments or houses. We always wanted to own a house, something to call ours, but the process was so difficult. A couple of years ago we tried to buy a house with a different agent, and well needless to say, it did not happen. Then we met Mike Koperna. He was there for us through each step of the way. He was available for call my questions, which I had, allot, and even went out of his way to meet us if it was inconvenient with his schedule. He truly works for best interest of his clients. I cannot thank him enough for what he has helped us gain. We could not have done this without Mike! We love our new home and truly appreciate him helping us every step of the way! We are all settled in and love the community and we are going to take a night and have a special dinner to thank Mike for everything he has done. Thank you for your patience, expertise, feedback, and honesty with me throughout my experience as a first time homebuyer. You made this big decision in my life a very pleasant and smooth transitional experience. Thank you and I will recommend you are services to others! I sold a property of mine through Mike and Century 21 Alliance and the experience was exceptional. He sat with me and went over properties on the market and recent sales to set the price of the home for the market. In this environment, it is a very important step so the home will sell. While the property was for sale Mike kept in touch on a regular basis to let me know the reaction to the property and what interest there was. Through his website, I also received an email after each showing giving me feedback from the perspective buyers. When the offers came in, we sat down, went over each one, and agreed upon the strongest one. Mortgage Companies are tough these days and when an issue came up Mike fought hard on my behalf to get it resolved in my favor. Mike kept an eye on the entire process. I settled in 45 days and everything went smooth at the settlement table. I cannot say enough about my experience with Mike Koperna, in this difficult time in the Real Estate market he is the one you want on your side. Thanks Mike and I look forward to using your services in future transactions. Thank you so much for selling my house in five days. It was a pleasure to deal with you. Thank you for all your help. Michelle and I thank you again for all your hard work helping us find, and purchase our home. We tell all our friends that we just happened to find you by chance, and it could not have worked better for us. You are great at your job, from the very first moment on through. It was really classy of you to hand-write out a card; give us the Home Depot gift certificate. Thank you for that. I assure you that if we ever have another real estate transaction, you are our first call. If we hear of family or friends getting ready to buy/sell, we will do everything to see that you are also their first call. Good luck for a success spring! I would like to thank you for all your cooperation in our purchase of our new home. You were very understanding of our financial and other concerns. The whole process made it a very nice experience. We wish you continued success. You will not be disappointed if you engage the services of Mike Koperna as your real estate agent. Whether he is selling your house or helping you to find a new one, you can count on his expertise. Mike helped me and my husband to do both. We listen to him and did everything he suggested be done in our home and it sold within 30 days, even in this market…. He did everything in his power to make the transition from selling our home to purchasing our new home as smooth as possible. We took Mike’s advice on everything except going through his mortgage department at Century 21, which we regret. If we would have gone his suggested route, we would not have had the problems we had with the mortgage company that we selected. We are glad we went through the insurance company he suggested for our homeowners insurance. We saved hundreds of dollars on our homeowners insurance by following his suggestion. Listen to Mike he will not steer you in the wrong direction. The happiness of his clients is first and foremost. My wife and I had the opportunity to work with Mike Koperna as our realtor during the early part of 2011. Mike was great to work with. He always answered his phone and replied to e-mails promptly, which is something that we really appreciated. If he did not know the answer to our questions right away, he found it, and as first-time homebuyers, we had plenty. Mike made us feel comfortable when it came to searching for our new home, and we really felt that he wanted us to find a house we would be happy in. He was great to work with throughout the whole process, and we look forward to recommending his services to friends and family in the future. My experience with Mike was awesome. He took the time to get to know what my family and I were looking for in a home, and then helped us find it! As first time homebuyers, we did not know what we were getting ourselves into, but Mike walked us through, every step of the way. When the time comes for us to move on and sell our home, and purchase another, I will not hesitate to call Mike Koperna!!!!!!! Mike Koperna is one of the most sincere and honest individuals I have ever had the pleasure of knowing. Not only did he take the time to get to know my wife, and me but also he used the information gained to find us the house that not only fit our budget, but was also a perfect location for our always-on-the-run lives. He is the only realtor my wife and I will use in the future because he is the only realtor that has earned our trust. I cannot and will not ever be able to thank him enough for finding us our perfect home. When my mom decided to sell her home and had no luck the first time around with the first realtor, I decided to give Mike Koperna and his team a call to list her home and give it a try. Well, Mike did just that. My mom selling a house for the first time was not an easy decision for her after spending her life in her home for the past 32 years. However, with all honesty, Mike was truly not just a realtor, he walked my mother and myself through the entire process, explained how a home is priced, what is and is not expected as a seller, and helped ease the difficulty of selling our home after living and raising a family for so many years. Mike is an upfront and honest person who would not steer anyone in the wrong direction. We will and would highly recommend Mike Koperna and his team at Century 21 ALLIANCE to anyone we know who needs or wants to sell their home or if they are looking to purchase a home. Because when making big decisions as such, you need the qualities of an honest, personable, understanding, and patient individual who will be there for you every step of the way, from beginning until you make your settlement, and Mike is that person you will need.